Information on fares, discounts for senior, disabled, low-income and student riders, plus deets on where to buy passes. That’s the ticket! 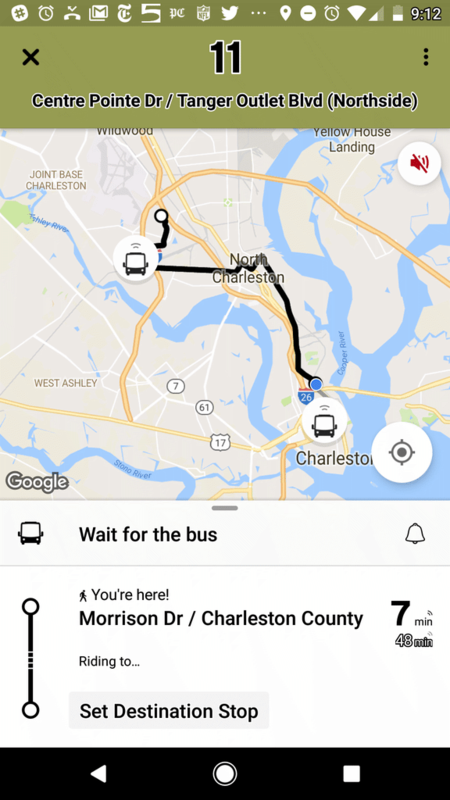 Passes are great if you ride regularly, prefer not to carry exact change, or are visiting and plan to use CARTA services to get around Charleston. Passes are accepted on all regular fixed route buses, while premium services like Express will require a up-charge. For questions regarding eligibility and requirements, email askcarta@ridecarta.com or call (843) 724-7420. Please note: CARTA does not replace or refund lost, stolen, damaged or destroyed passes. If you have questions or concerns regarding your pass purchase, please contact administration at (843)724-7420. $1.00 up-charge when used onboard CARTA Express. Using the pass for a transfer deducts a ride each time used. Mail passes, or in-person pickup? Please allow 1 full business day from time of placing order to pick up. Pick up is available from our main office, M-F, 8:00am - 5:00pm. Note: Certified shipping requires a signature by somebody 18 years or older. We respect your privacy; your email address is safe with us! Up to 10 passes can be purchased in a single order; if you are interested in ordering more than 10, or if you have any questions about an order, please contact Rainee Kearney at rkearney@ridecarta.com or calling at 843-737-8272. Not sure which pass to purchase? Plan your trip below to see where CARTA can take you. Low-income fares are available to those who qualify. Qualified individuals will receive a CARTA ID that they will need to show when paying the discounted fare. Qualifications must be re-verified every 6 months to be eligible to use the discount fare. Low-Income tickets are available at CARTA Administrative offices and at The SC Works Charleston Career Center. CARTA takes you to most hospitals, libraries, grocery stores, shopping centers and service agencies throughout the Charleston area. On Monday, August 21, CARTA will hold another Senior Free Day where seniors 55+ can ride all routes for free. This is the perfect opportunity to get some shopping done, visit friends or family or simply explore the city and our different routes. If you have any questions, please call 843-724-7420 for more info. Drivers may request proof of age. Medicare cards or I.D. card with date of birth will serve as identification for the fare. Want to ride, but not sure how? Simply call 843-724-7420 and let our operations staff pair you with a CARTA Ambassador! Learn the ropes and make a new friend. If you’re interested in becoming a CARTA Ambassador, or wish to be paired with one, please call (843) 724-7420 or email us at cruze@ridecarta.com. A discount fare is available to the disabled and can be used on all Fixed Routes, all day, every day. To use the disabled fare, you must receive a Disabled Fare ID Card issued at the SC Works Charleston Career Center. Passengers with a Tel-A-Ride I.D. card can ride fixed-routes for free. Who needs a car when you have CARTA? CARTA can take you all over downtown, to the beaches, to the malls, to concerts and more! If you are a student at various area institutions, passes are available and are good for an incredible 6 months unlimited use on regular route services. Student passes are valid for an entire semester (6 months-period), all for only $80 per semester. Student passes allow unlimited use on all regular fixed routes and can be used on premium services like CARTA Express with an additional $1.00. Student passes are available for student attended eligible institutions. For eligibility requirements, please call 843-724-7420. Students will be required to show a current school ID. Passes can be purchased at the CARTA offices located at 3664 Leeds Ave. in North Charleston. Several institutions throughout the Charleston area work with CARTA to provide students with passes on campus. For more information, please call (843) 724-7420. Discounts may be available if you have a school group that would like to use CARTA for a field trip or area outing. Large groups should always contact CARTA administration offices to make sure that services are monitored to ensure an effective trip. An existing route must be used. CARTA can not come to your location or detour from regular route service for your trip. Please plan your trip along regular route lines and regular route times. If you need trip planning assistance, please refer to our trip planner or call 843-724-7420 to speak to administration. **If your school would like to find out more about CARTA’s pass programs, contact us by email at askcarta@ridecarta.com or call 843-724-7420. When boarding the bus and paying your fare, pay the additional $.50 and ask the driver for a transfer. Transfers can be made to another bus routed of the same type or same direction. Transfers are not allowed from DASH Shuttles. Transfers between bus types are not allowed. Customers may need to use more than one route to complete their trip. Customers paying a one-way fare with cash or a pass may purchase a transfer to complete their trip. *One transfer allowed. Must be paid for and requested when purchasing fare while boarding.